HomeGreat ideas for socially responsible living! Great ideas for socially responsible living! 50% of profits or 100% of profits to charity? Same, same but different? Well another Australian toilet paper social enterprise came to my attention today. Looloopaper is a subscription-based provider that gives 100% of their profits to charity! First comment: subscription is a good model to minimise risk and keep storage costs down. Second comment: 100%! Awesome! I’m in! 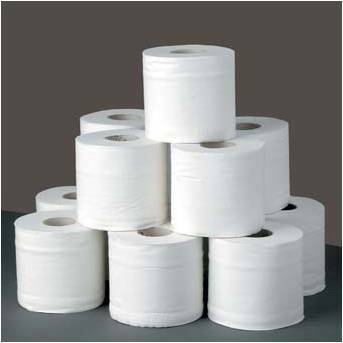 But is it possible that the team behind Who Gives A Crap and Looloopaper keep the same proportion of your well-spent toilet paper dollar, despite Looloopaper giving TWICE the proportion of profits to charity? Well, if Who Gives A Crap operates on an equity model (good for start-ups because the team only get paid once there are profits to pay them with) their 50% of profits is their income. But if Looloopaper has their team on salaries, then they get paid before profits are calculated. Different model, massively different perception! Either way, buying from either of these gems will mean much more of your toilet paper profit goes to charity than ever before. And if you just want to donate to the toilet cause, I can’t vouch highly enough for Jack Sim’s fantastic World Toilet Organization.